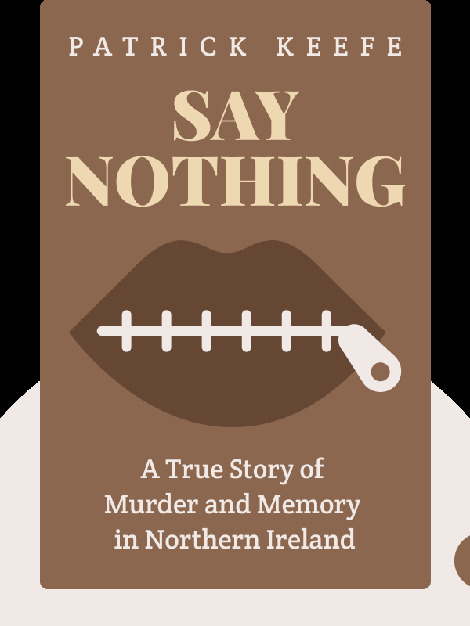 Say Nothing (2018) explores a shocking true story of murder during the Northern Ireland Conflict. These blinks are a compelling meditation on one of the darkest chapters of Irish history, and shine a light on some of the key figures in the conflict as well as the period’s most notorious atrocities. 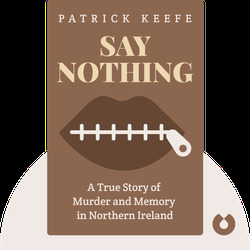 Patrick Radden Keefe is an award-winning author and journalist. His other books include The Snakehead and Chatter. Keefe is also a writer for the New Yorker magazine, and received the National Magazine Award for Feature Writing in 2014.